Description: Sized 30" x 16" and already framed. 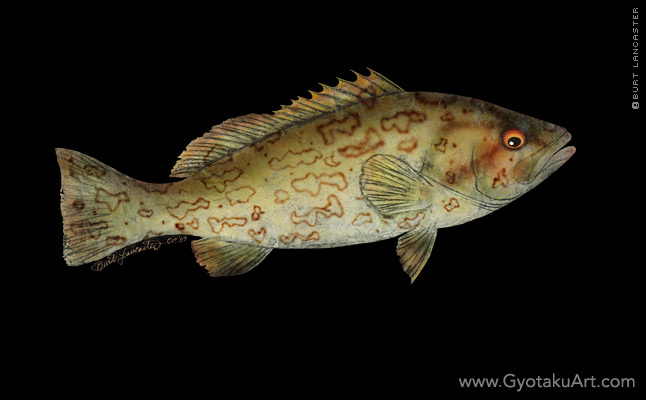 Single grouper on a black background. Giclee is available.